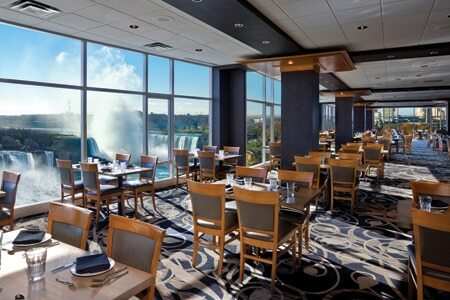 You’re spoiled for choice with Canadian Niagara Hotels centrally located event destination. Your group is steps from a diverse selection of restaurants, unique special event venues and attractions. Want to take your meeting experience to the next level? Go ahead and book an entire venue for your own exclusive event. Your guests will take their memories home when you order personalized, one-of-a-kind delegate and VIP gifts through our amazing on-site vendor partners. Your perfectly executed event. Our amazing space. Just imagine it, and we’ll make it happen. We can “brew” just about anything! The Niagara Brewing Company has an expansive, loft-like 3,000 square foot space that may be set up in almost any arrangement with a capacity up to 210 people. We can create unique experiences in a hip and trendy atmosphere beginning with intimate tours to indulging in our beer focused creations. 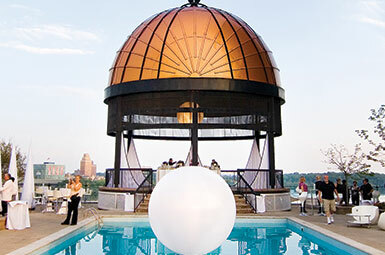 Exceptional fallsviews from the year-round, rooftop Garden Terrace located on Falls Avenue Resort. 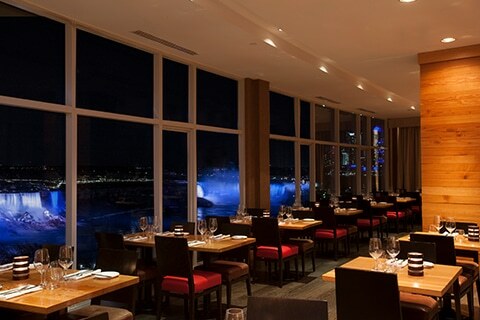 Plan a sunny daytime reception or a special evening under the stars punctuated by the nightly burst of colourful fireworks over Niagara Falls. 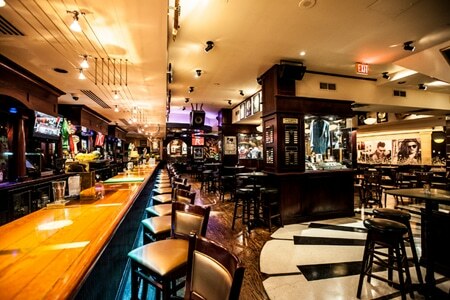 Extravagant event or casual after-party, there’s plenty of room here to set the stage for an unforgettable experience. Feel the raw energy of the Hard Rock Club, home to an impressive 18,000 watt sound system, as well as the world’s largest electronic disco ball outfitted with LCD screens and graphic panels. Open the garage doors to a fallsview balcony wrapping around the dance floor and stage providing an inspiring backdrop to presentations, events and live entertainment. The electric atmosphere provides an opportunity for delegates to build and strengthen relationships in a relaxed setting. Create a unique team building activity by putting them behind the bar with our skilled Mixologists. After enjoying the Club, indoor walkways will take you back to the Sheraton on the Falls and Crowne Plaza where you can safely ride the elevator back to your room. 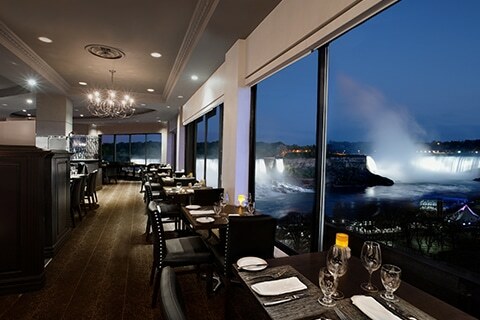 Stunning views, superb cuisine and attentive service offered at the Fallsview Buffet. Groups enjoy unparalleled fresh buffet choices, as well as live action food stations, as a complement to breakfast, lunch and dinner meetings and celebratory special events. This go-to dining destination is available for the exclusive use of private group functions.